Looking for a personal trainer, group training or boot camps in Maribyrnong? We have a number of certified personal trainers operating throughout Maribyrnong, and if you hate exercising in a gym environment, we’re the best solution for you. All our fitness sessions are personally tailored to reach your health and fitness goals and our team of mobile personal trainers will always ensure your fitness training is fun and effective. So if your looking to lose weight, build strength, improve muscle tone or prepare for an upcoming fun run or wedding fitness we are here to help. We boast of having some of the best personal trainers and fitness professionals in Melbourne that are ready at your disposal and because we are mobile personal trainers we come to you at a time that suits your schedule and where you feel comfortable. Our trainers supply all the training equipment and expert knowledge needed for all of your workouts. Why be stuck in a crowded local gym in Moonee Ponds when you could be doing your training outdoors around the Maribyrnong River at either Maribyrnong Park, Aberfeldie Park, Riverside Park or E A Coulson Gardens. If you don’t wish to train around the popular running track and ovals at the Maribyrnong River there are plenty of other locations nearby that are perfect to conduct personal training sessions. Maribyrnong Personal Training – Our one-on-one personal fitness training is perfect for those who wish to train alone and receive their trainer’s absolute focus and attention. Maribyrnong Corporate Fitness Training – Do you own a business in Maribyrnong or you work for a company located in the Maribyrnong area? Increase the morale and productivity of your staff by beginning a corporate fitness program. Our MaxNRG corporate fitness program ensure to shift your staff out of their chairs and into shape! Fun Run Preparation – Looking to participate in an upcoming fun run, walk, ride or charity event in Melbourne? The Maribyrnong River is a great location to train for upcoming events. Pick up the phone and call 0403-741-278, fill out our online enquiry form or send an email to have a no-obligation chat about your health and fitness goals. Our goal is to help you change your lifestyle, lose weight, and make you feel good about yourself. We ensure at MaxNRG Personal Training that you get what you pay for and more! All our trainers are highly qualified exercise & fitness professionals that will go above and beyond to create a fitness program that matches your current fitness level and personal goals. We currently have some of the best mobile personal trainers in and around Moonee Ponds. Where: Maribyrnong is a suburb 8 km north-west of Melbourne, Victoria, Australia. Maribyrnong takes its name from the Maribyrnong River which bounds the suburb to the north and east. Its other borders are Williamson Road, Rosamond Road, Mephan Street and Owen Street to the south. For more information on the services that we can offer you, call 0403-741-278 to speak to one of the MaxNRG personal training team, or check out some of the other areas of our website. Below is a list of some of the other great locations in the City of Maribyrnong that we currently run group training, boot camps and personal training sessions. 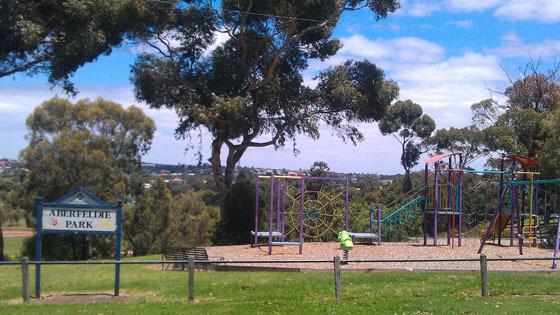 Aberfeldie Park: Aberfeldie Park surrounds the Essendon running track and you will often see our mobile personal trainers working in the area. MaxNRG Personal Training offers expert fitness services in this area all year round. If you want to exercise and live in Maribyrnong, Essendon or a location near by, Aberfeldie Park is one of the best places to start working on your fitness and health. 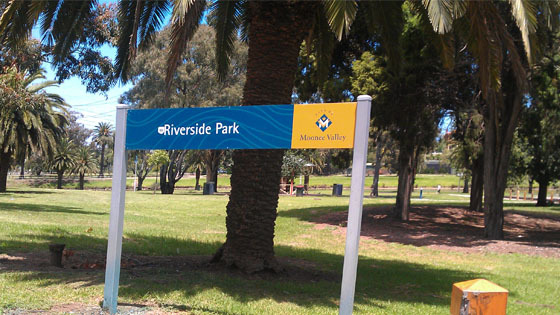 Riverside Park: Riverside Park located along the Maribyrnong River is one of the best areas for mobile personal training. It has undercover areas, toilet facilities and plenty of car parks. Most weeks you will find a MaxNRG trainer with our boot camp groups or running private sessions. 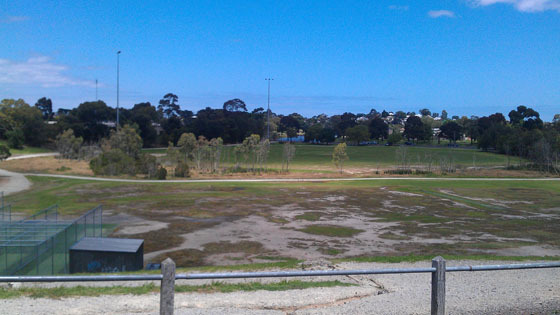 Moonee Valley Athletics Track: Also known as the Aberfeldie Running Track or Essendon Athletics Track. 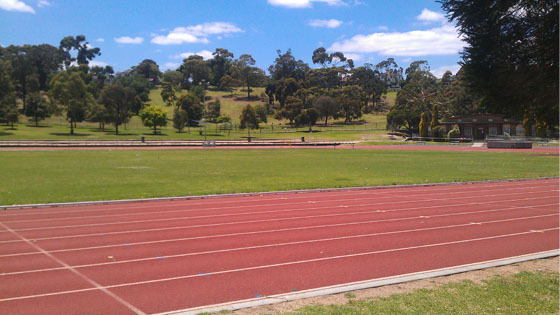 The Moonee Valley Athletics Track which is at the end of Corio St, Moonee Ponds is a great 400m track for personal training sessions and for people who enjoy running and exercise. MaxNRG Personal Training can run pt sessions at the track when it is open for the public or we can also arrange hiring the track to use for companies that wish to host corporate fitness events/training programs at the venue. Maribyrnong Park:Maribyrnong Park is a large reserve that borders the Maribyrnong River and is well known by anyone who walks or runs in the area with two sports fields and an excellent path network for walking and cycling. It is also known as Aberfeldie Park as well, and is a huge area that has plenty of area to train. Not only are there the great local parks and ovals that we currently train our clients at, but if you would prefer the comfort and convenience of exercising in your own home we also offer private home personal training sessions.